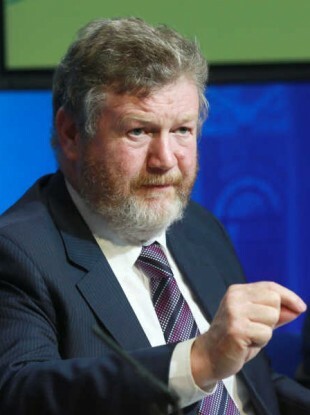 New Children's Minister James Reilly will speak on the mother and baby homes inquiry today. WHAT’S GOING ON in Leinster House? Every day the Dáil and Seanad are sitting, TheJournal.ie brings you the most comprehensive guide to what our lawmakers are getting up to in the Houses of the Oireachtas. 9.30am, Dáil: Alex White will step out for the first time as Minister for Communications, Energy and Natural Resources. 9.30am, Committees: James Reilly will also be facing his first batch of questions as Children’s Minister from the Heath Committee. 12pm, Dáil: Tánaiste Joan Burton will face her last batch of Leaders’ Questions for this session. 4 pm, Dáil: There will be statements on the mother-and-baby homes inquiry in the wake of yesterday’s announcements. 10.45am: TDS debate the final stages of a new Bill proposing tighter regulation of online gambling. After that there are two other Bills going before the Dáil with amendments from the Seanad. One is designed to amend laws relating to media mergers and the other relating to free GP care for the under sixes. 12.21pm: The Order of Business will be read out as normal before TDs get to ask about promised legislation and no doubt a few other matters. 12.21pm: A motion into the proposed commission of investigation into the shooting of Real IRA man Ronan MacLochlainn will be read out. 7.00pm: The Dáil adjourns for the summer. 10.30am: The day shall start off with the Order of Business where Senators get a chance to chat about anything and everything. A motion on the investigation into the shooting of Ronan MacLochlainn shall be read out as part of its fast-tracking through the Oireachtas. 9.30am, Room 3: The committee will meet with the Irish Farmers’ Association (IFA) and the Irish Creamery Milk Suppliers Association (ICMSA) on the Agri-Taxation Review before further scrutiny of the Horse Racing Ireland Amendment Bill. 10.00am, Room 4: The committee will hold its final round of pre-Budget 2015 hearings with the Royal College of Physicians, Irish Heart Foundation, Irish Cancer Society, The Alzheimer Society of Ireland, Mental Health Reform and Acquired Brain Injury Ireland. Reps from the IFA and the Irish Haulage Associate are among those due in later in the day. Email “It's politicians' last day in Leinster House before the summer holidays, here's what they're up to”. Feedback on “It's politicians' last day in Leinster House before the summer holidays, here's what they're up to”.